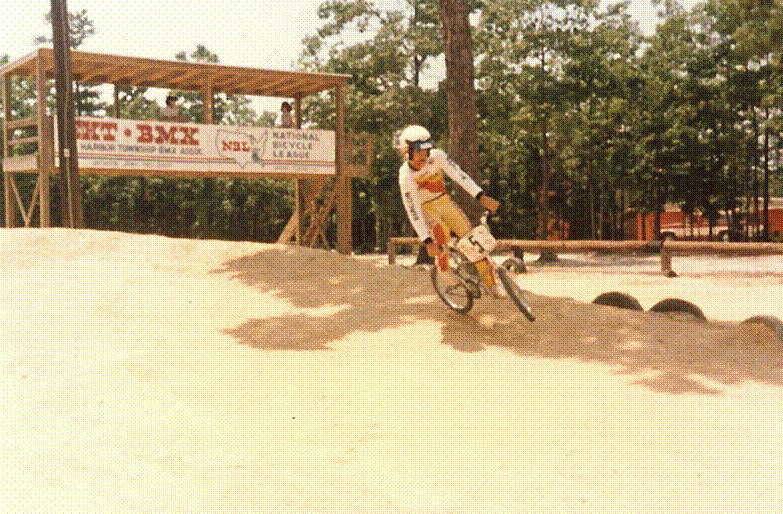 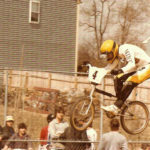 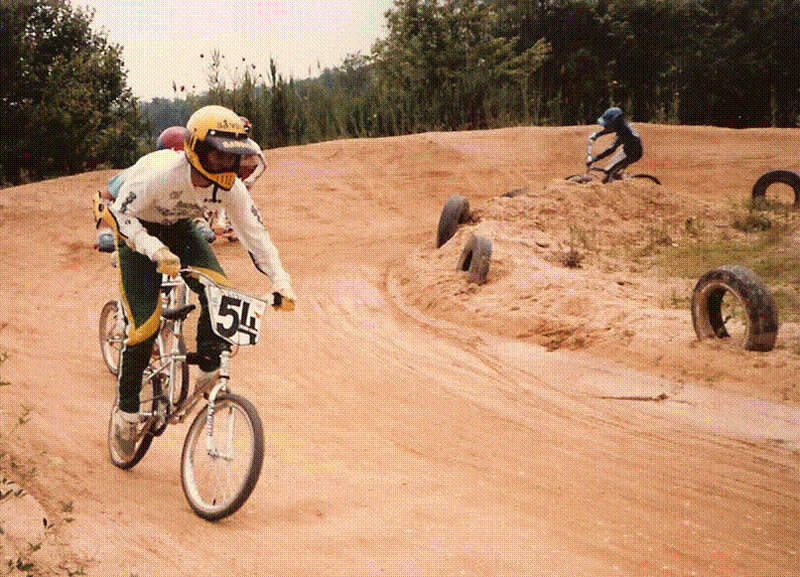 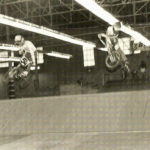 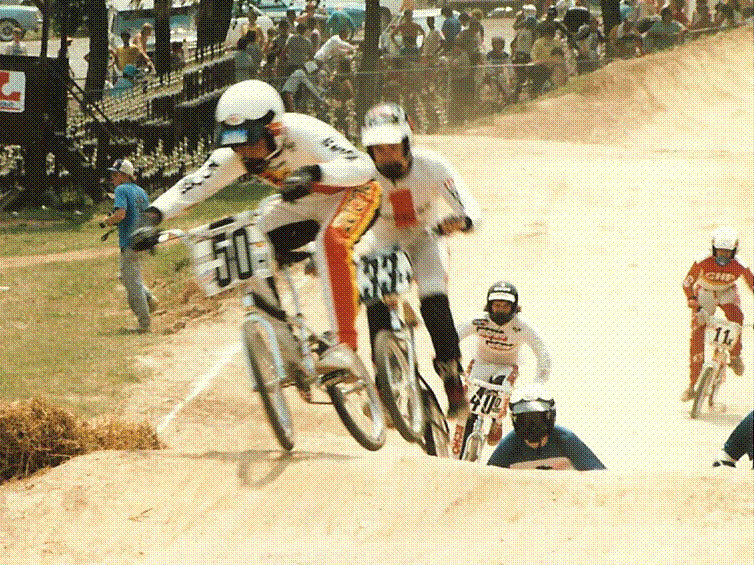 I used to live near the EHT BMX track when it was being built. 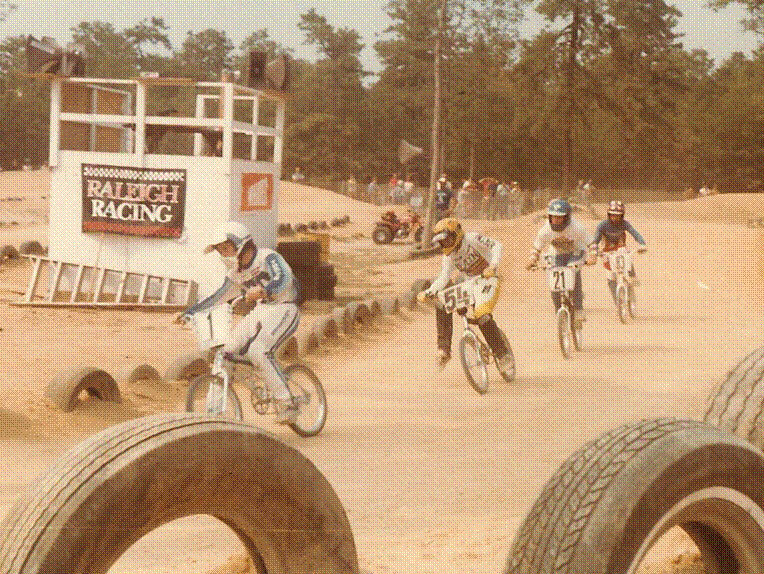 I used to go check out the races to see what it was all about when I was 12 years old. 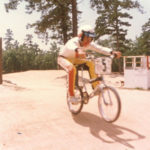 My first bike was a Cycle Pro with Tuff Wheels in 1982, then I graduated to a Patterson with 1 3/8 wheels when I turned expert later that year. 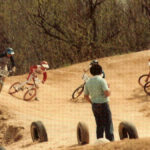 My first race was at the old Woodbury track in spring of 1982. 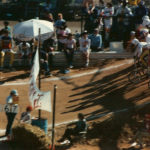 It rained so hard that you could only ride half the track and then you had to carry your bike and run to the finish line. 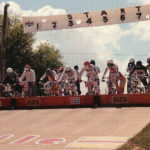 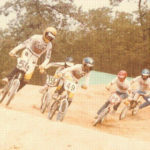 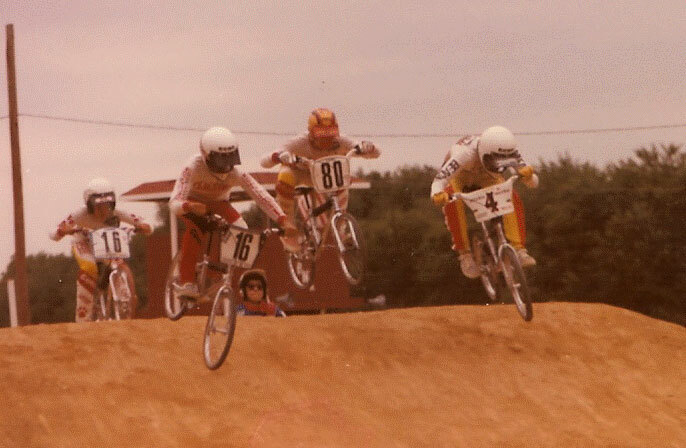 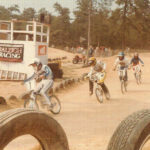 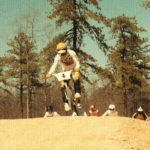 There were so many good riders that raced in South Jersey in the early 80’s, wow, I guess Chris Cawley, Mikey Mayes, Mike Lynch, Frankie Chirlo, Joe Layton, other guys who were fast and slightly older were Joe Urban, Chris Allen, Rod Demore and of course Rich Farside. 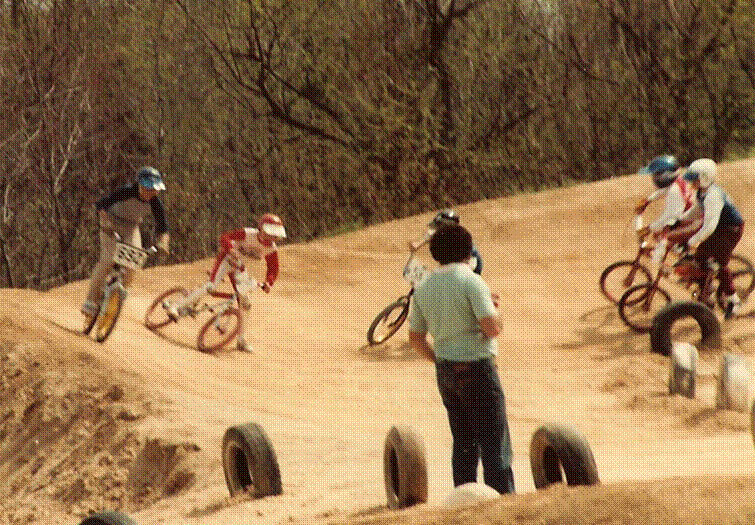 Back then when Rich was on the track, even for a practice lap, all eyes were glued to him. 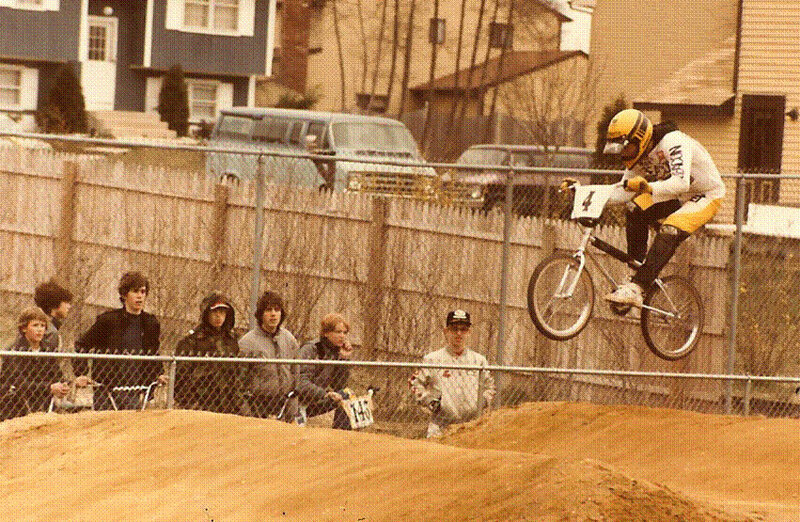 By far the best rider to come out of New Jersey. 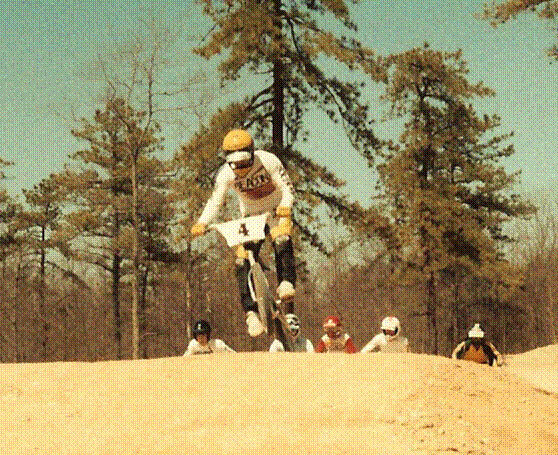 On a national level, Doug Davis, Billy Griggs, Darwin Griffin, Mike King, Brian Gass, Craig Bark to name a few. 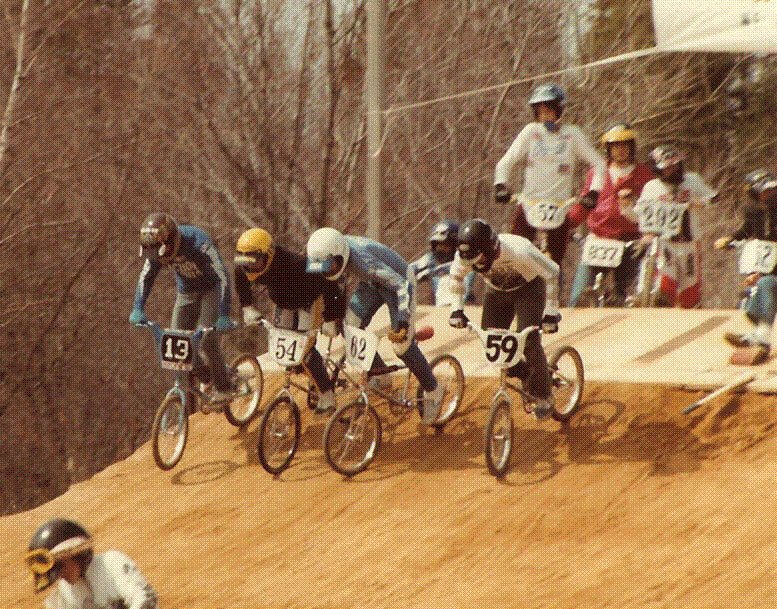 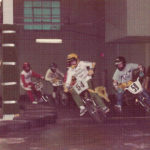 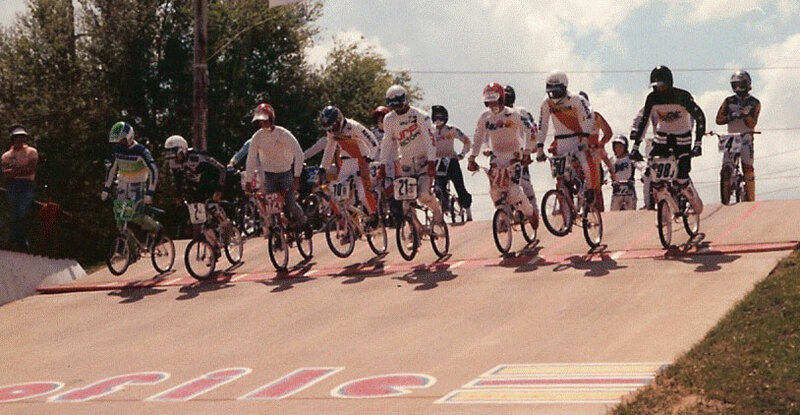 What was your first impression of a BMX race? I thought it was so cool to see guys jumping and competing for trophies. 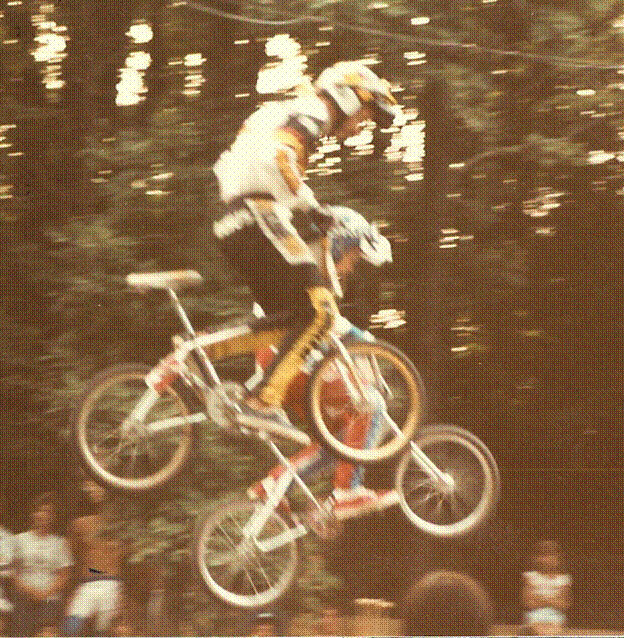 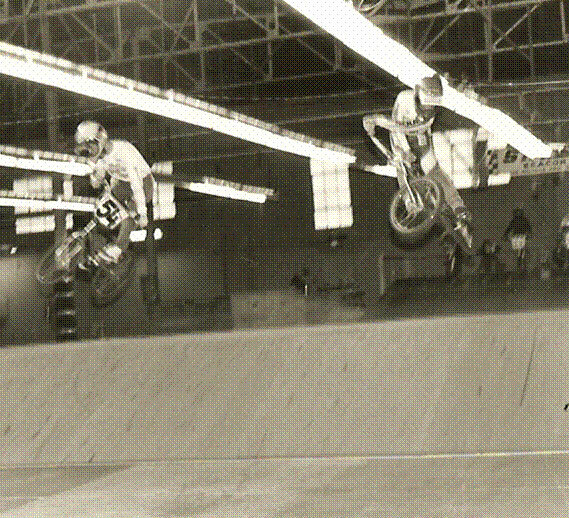 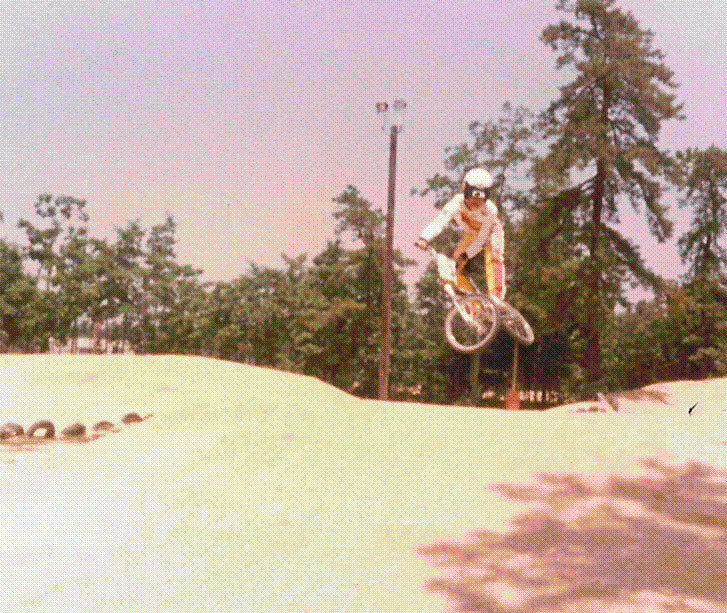 Back then the sport was taking off and that is what kids our age were into in a big way, jumping your bike. 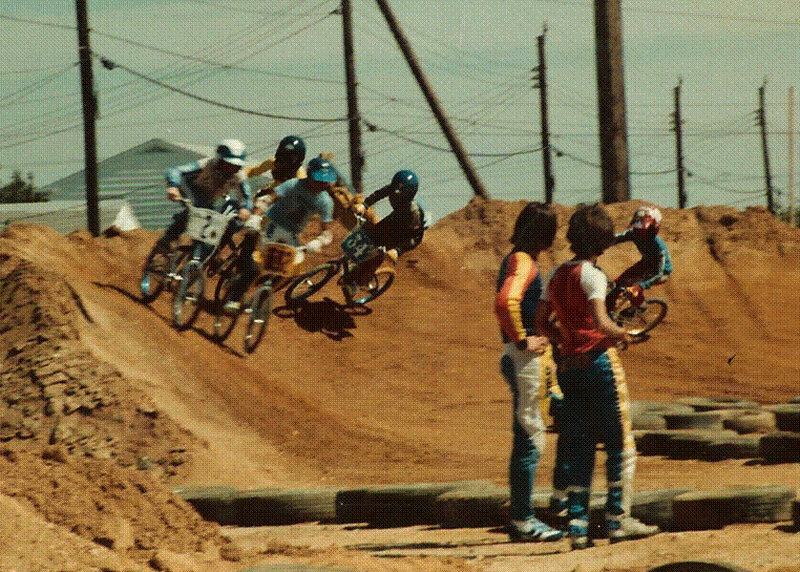 Now you could actually race these bikes against other kids for trophies, totally cool. 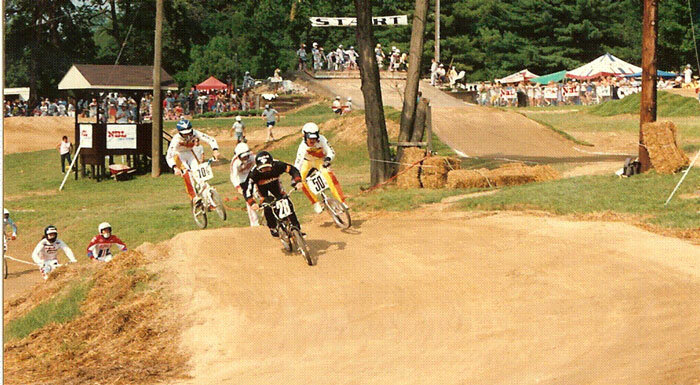 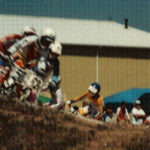 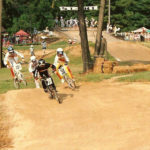 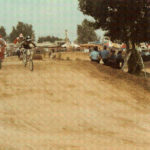 Back to that Woodbury Race, I didn’t make the main as I recall. 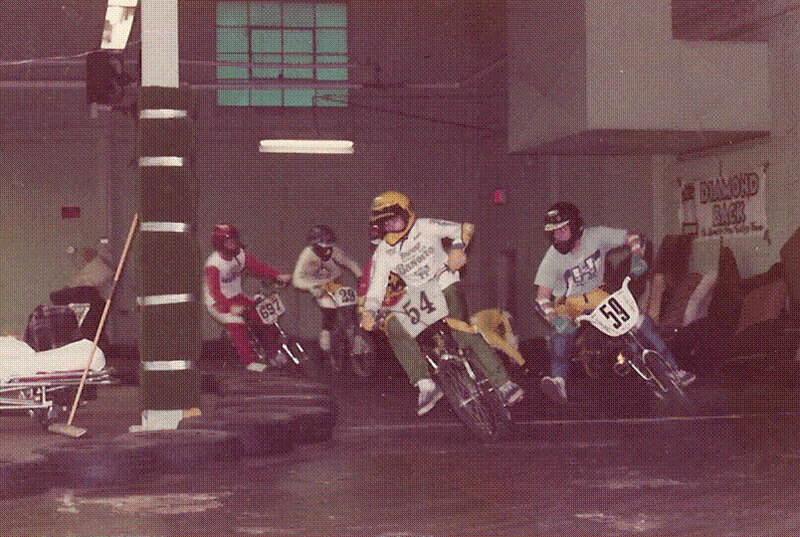 I know we had a semi for my age group. 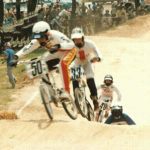 I might have made the main, but didn’t place very well. 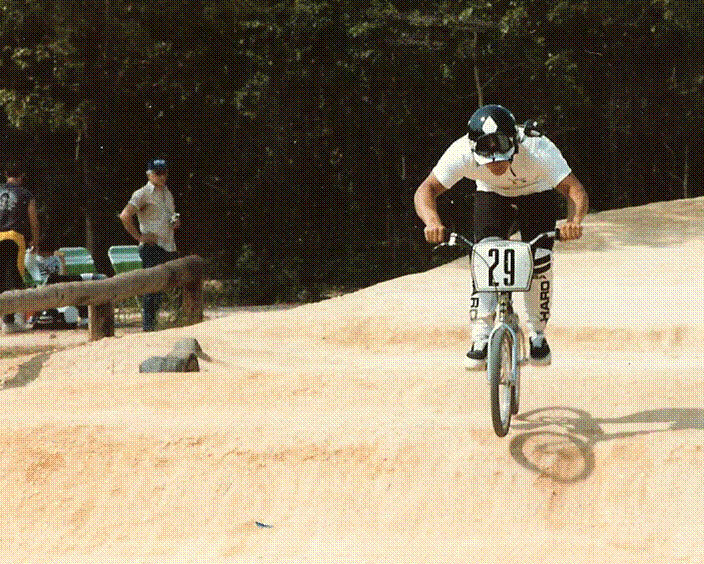 It didn’t matter, I was hooked. 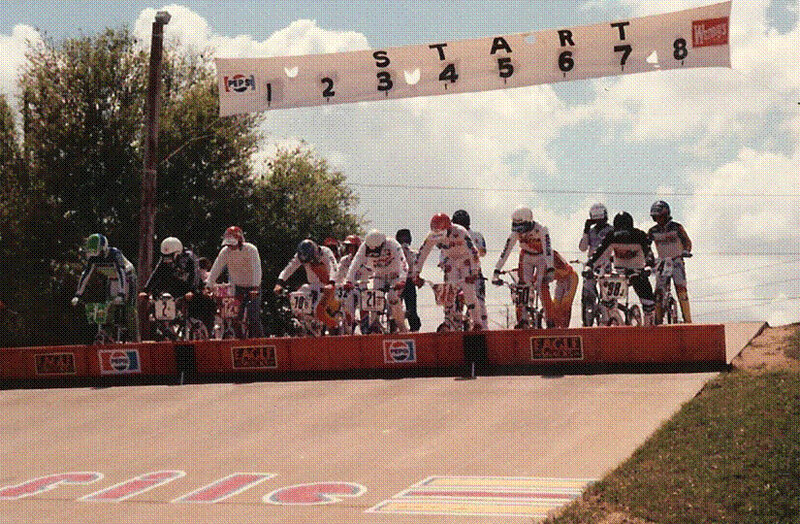 Locally we had a good group of guys who showed up to all the races. 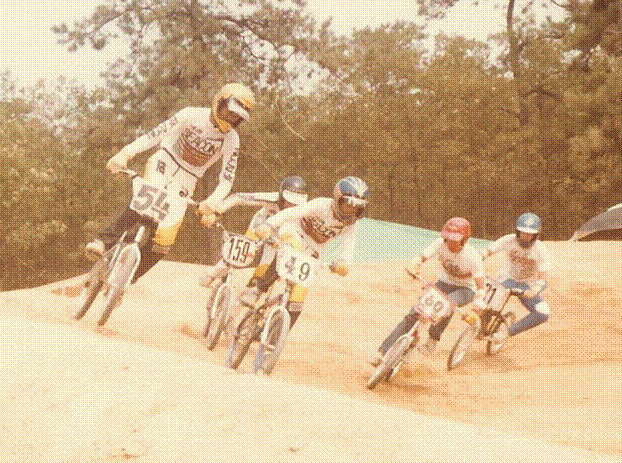 Back then, we were racing every weekday night and twice on Sat and Sun, so 9 times a week. 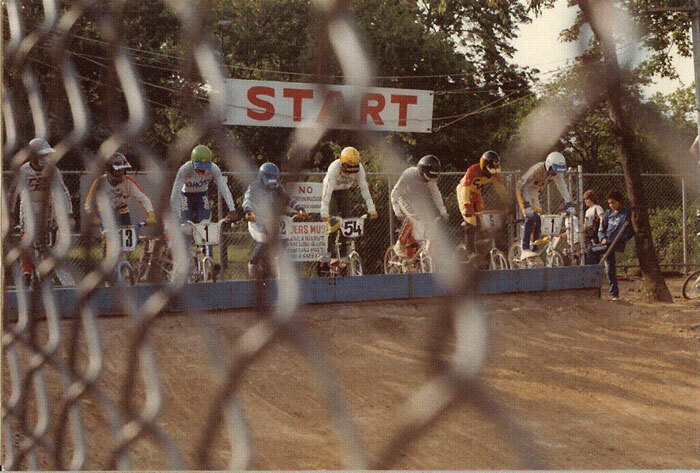 I would say we had 12-15 regular guys racing, John Cella, Tom Hunter, Frank Klimecki, Mike Lynch, Mike Franklin, Kenny Baum, William Magruder, Herbie Simmerman, to name a few. 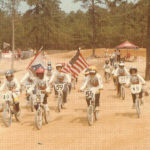 What teams were you on BITD? 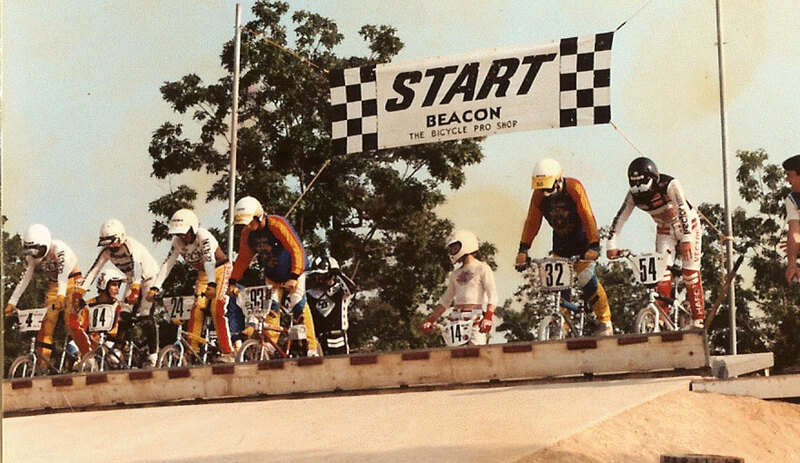 I mainly rode for Beacon Bike Shop, Bobby Reckenbeil was the team manager and former racer, he hooked me up big time on parts and frames. 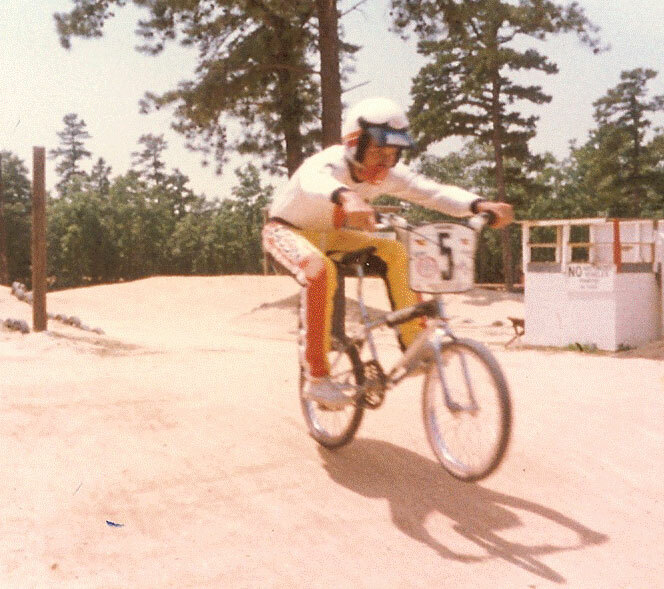 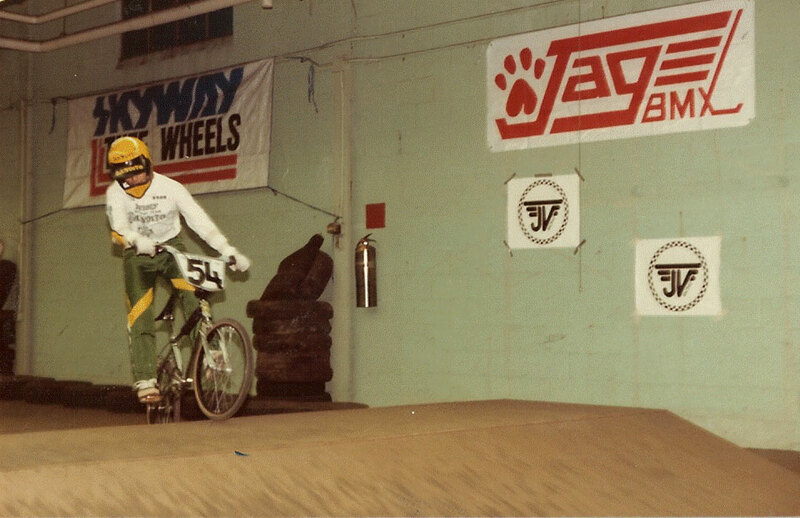 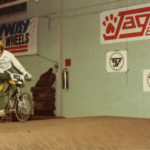 I also rode for Bandito Factory for a short time and then ended up riding for Action Wheels later as my career was winding down. 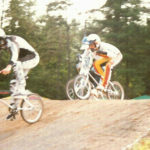 I stopped racing in 1987, needed to get on with my life and make some money. 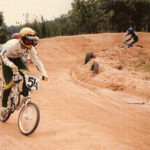 I sold them to other riders at the track once I stopped racing. 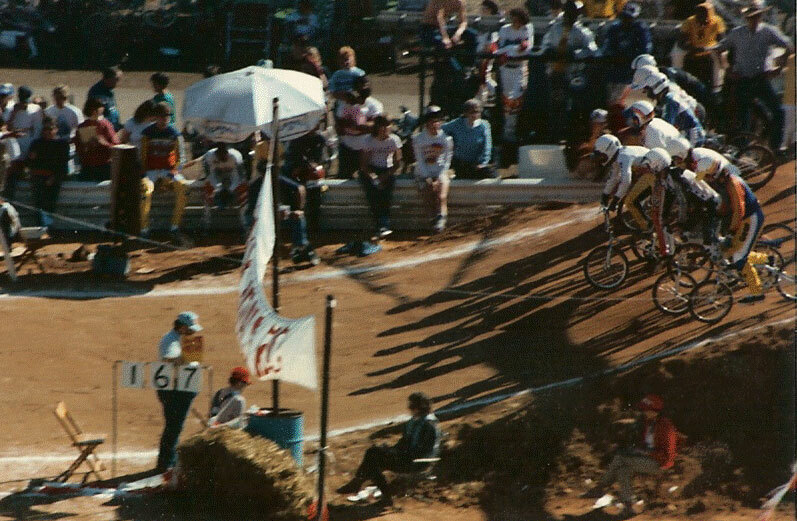 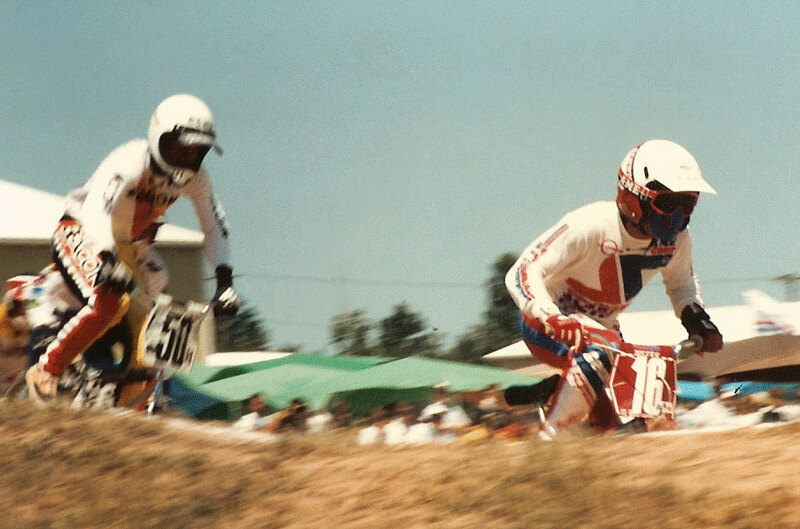 Way to many to talk about, but I guess one I can remember is the World Cup race in Irvine, CA. 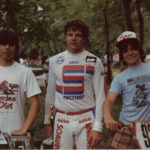 Clay Goldsmid, Robbie Morales and myself were going to fly out to the race with Neal Allen. 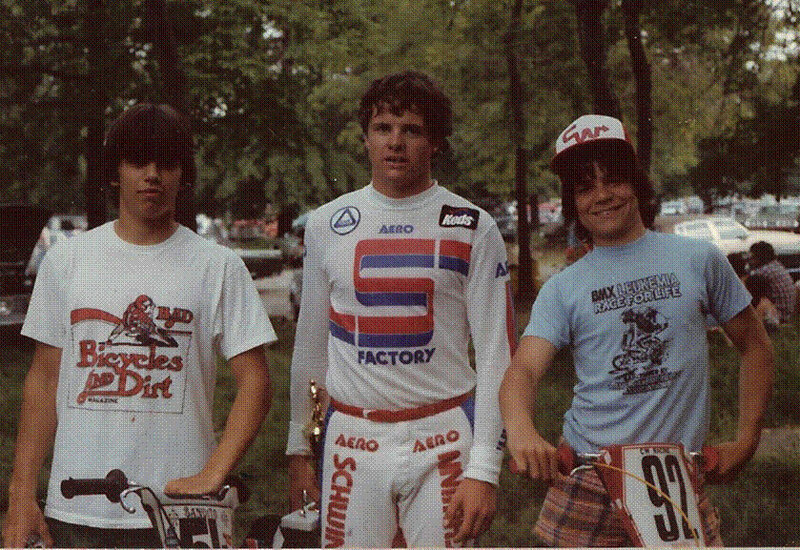 Neal had just broke his arm or collarbone and couldn’t go on the trip, so I had just turned 18 and I was thrust into the chaperone position and had to look over Clay and Robbie 3,000 miles away from home. 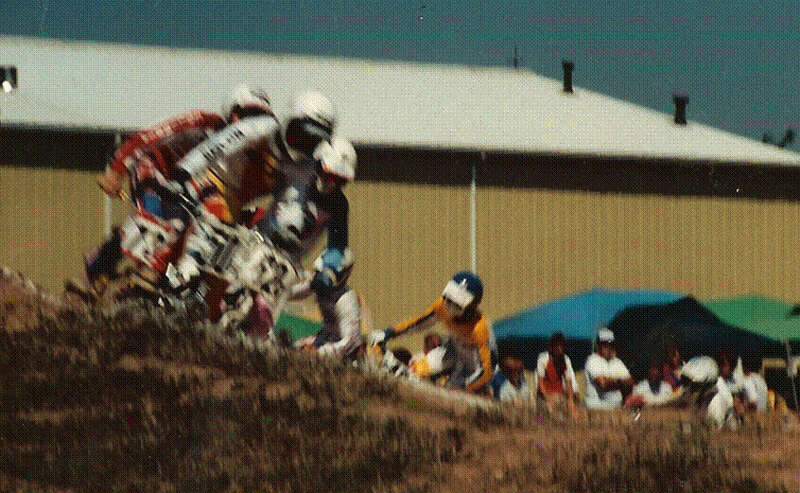 (Good Luck right)….We stayed with Bruce Bagley and Spanky Campbell. 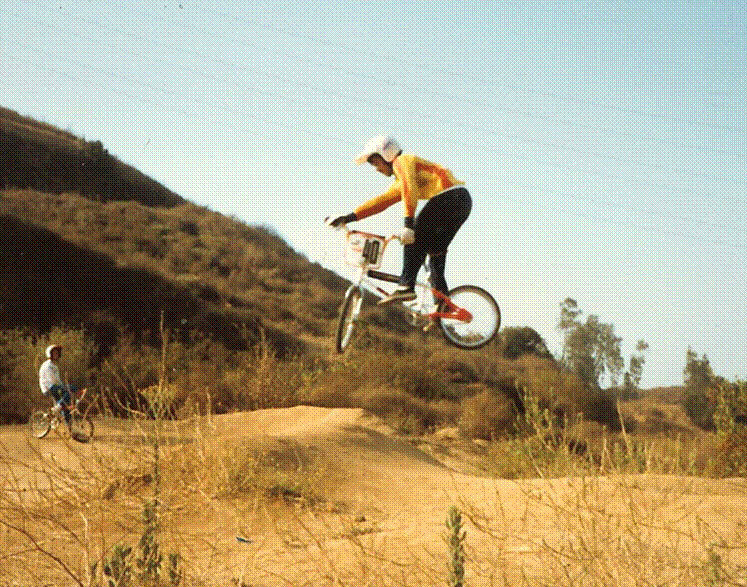 We had a blast tearing up and down the freeways and checking out all the local riding spots. 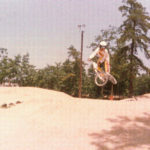 It was a great time as you can imagine. 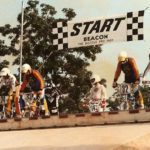 I think I placed 4th in 18-24 cruiser behind, Darwin Griffin, Terry Tenette and Cecil Johns, it was an awesome track and race. 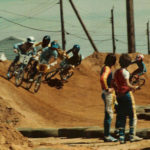 I have been living in Las Vegas for the past 12 years and I just started racing again this summer. 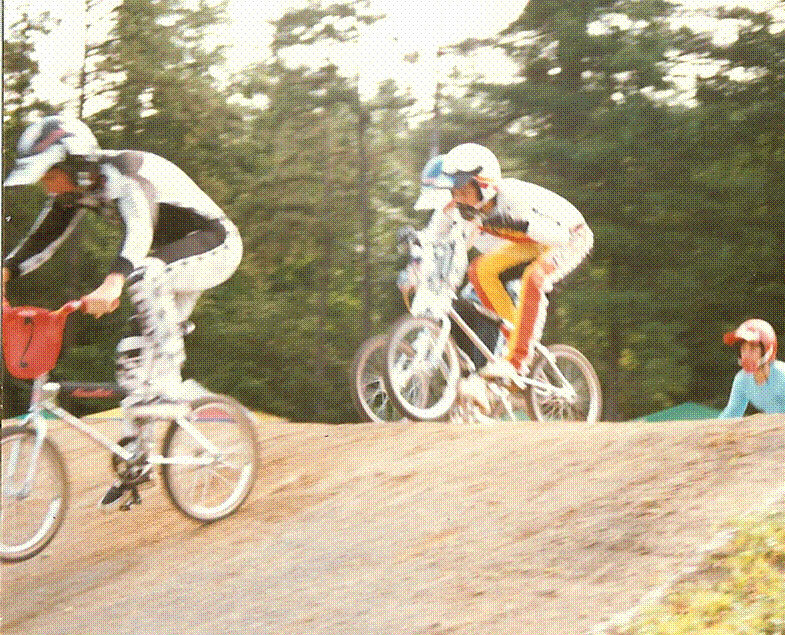 Frank Klimecki moved out here and we hooked up at a local race and I started getting the bug again. 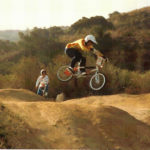 Clay and Jud from Hyper hooked me up with a ride and off I went. 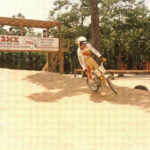 I will be racing all the NBL Nationals out west and will race the Grand Nationals in Louisville in 2009. 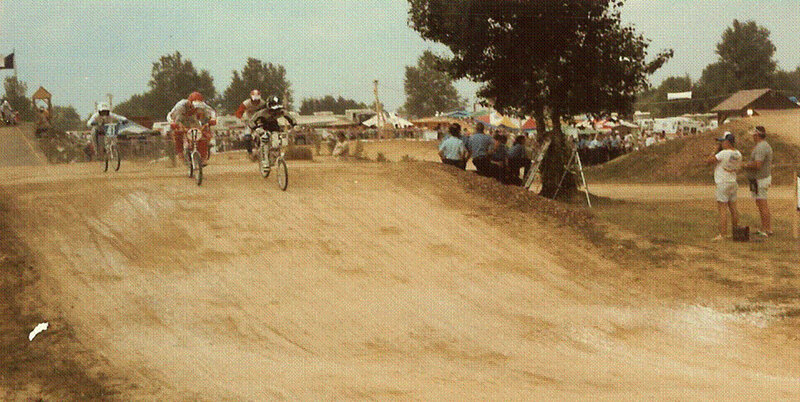 I got to tell you, the sanctioning bodies need to get over themselves. 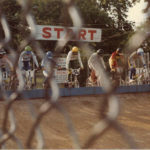 Nothing has changed in 22 years, the ABA and NBL just can’t get it together for the betterment of the sport. 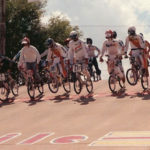 The Olympics is a great thing for BMX, but even the Olympic committee has issues with the sanctions. 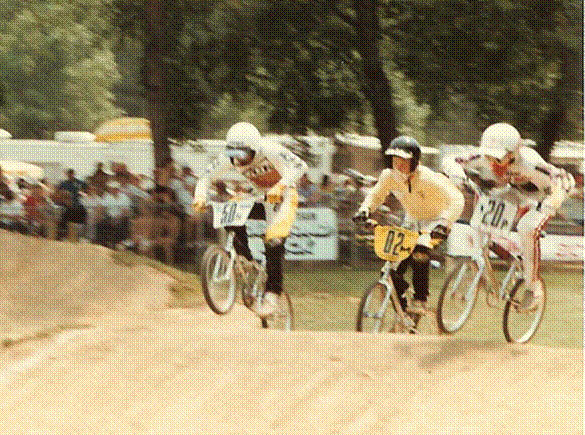 I would like to see both organizations combined for one national BMX body to determine true champions and have a complete National schedule. 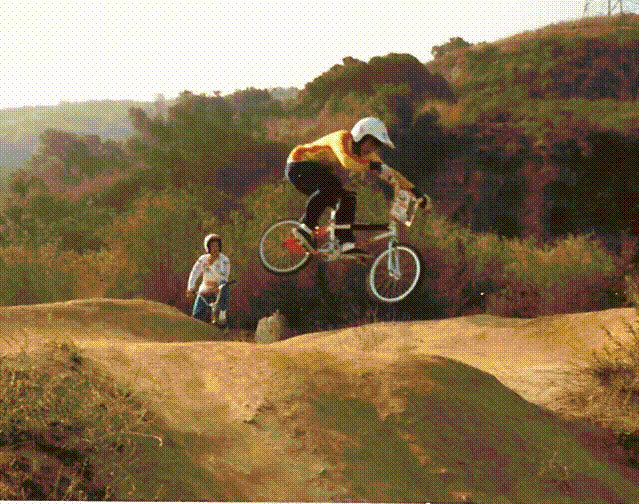 We also need to get BMX into the schools just like golf has done with the First Tee Program around the country. 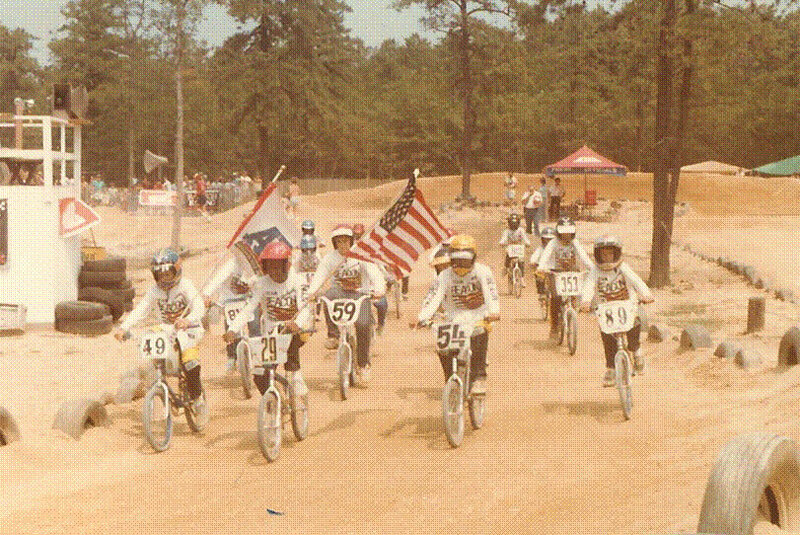 It doesn’t have to be as large as the First Tee Program, but awareness of our sport to the kids at an early age is a must for us to sustain and grow the sport that we all love.